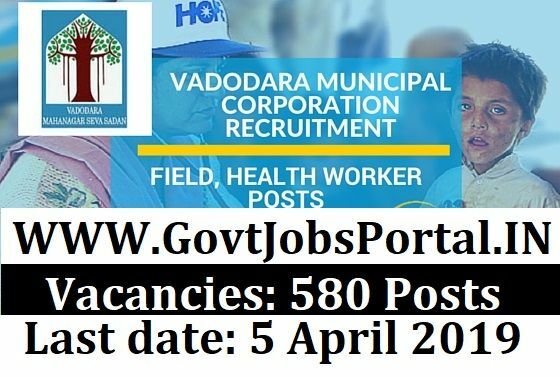 Brief Information: Vadodara Municipal Corporation recruitment for 589 health worker posts. Municipal Corporation has printed and shared an official announcement for the employment of Public Health Worker, Health Worker posts. Those Applicants who are concerned in the vacancy details & completed all suitability standards can apply online. Please read the complete job posting below carefully before applying online for this recruitment procedure. 21st March 2019 opening Date for Apply Online. 5th April 2019 is the End Date to Apply Online. 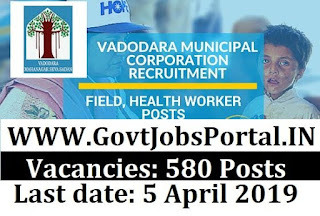 Those who satisfied all the eligibility term and conditions which we explained above in this article can apply online for this Municipal Corporation recruitment 2019. The procedure for applying online is currently active and candidates can apply online up to 5th April 2019. After the Last Date the online application form will be disable so apply as soon as possible.